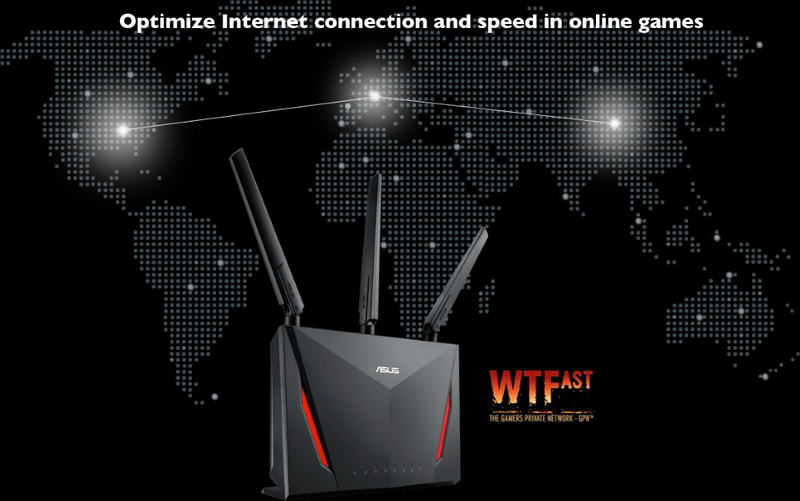 Wi-Fi speed, ensuring everyone on your network can enjoy smooth streaming and low-latency online gaming. consoles including PlayStation®3, PlayStation®4, PS4™ Pro, PlayStation®Vita, Wii U, 3DS and Xbox One. devices can connect at the same time without slowing down the network. simultaneously, unlike standard single-user MIMO where individual devices have to wait for sequential transmissions. 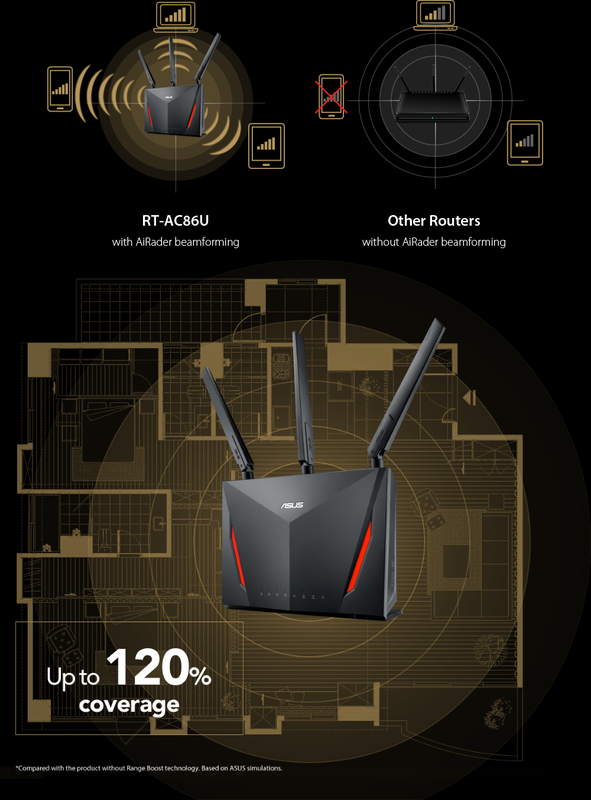 RT-AC86U's top-of-the-line 1.8 GHz dual-core processor brings its computational capability to the next level. throughput) up to 1600 Mbps. antivirus capability of their own — such as IoT devices. 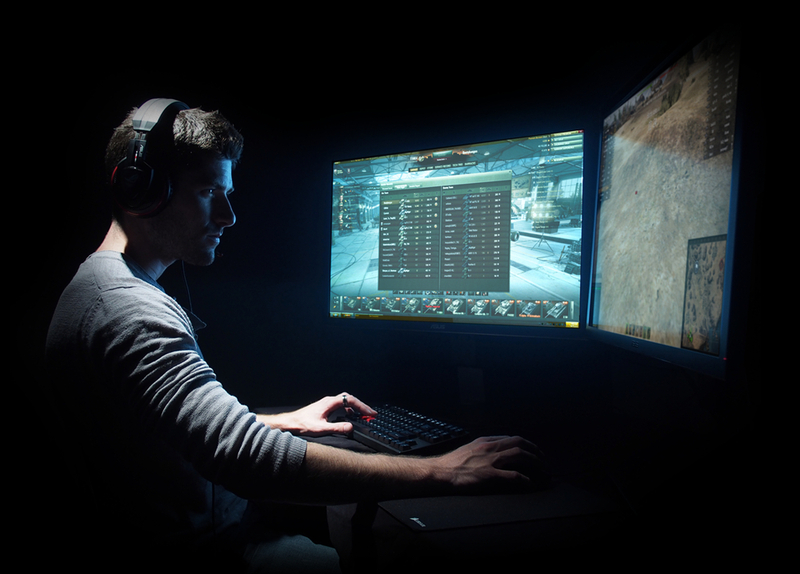 blocked games, for example — AiProtection still protects the network from attacks and intrusions, for added peace of mind. 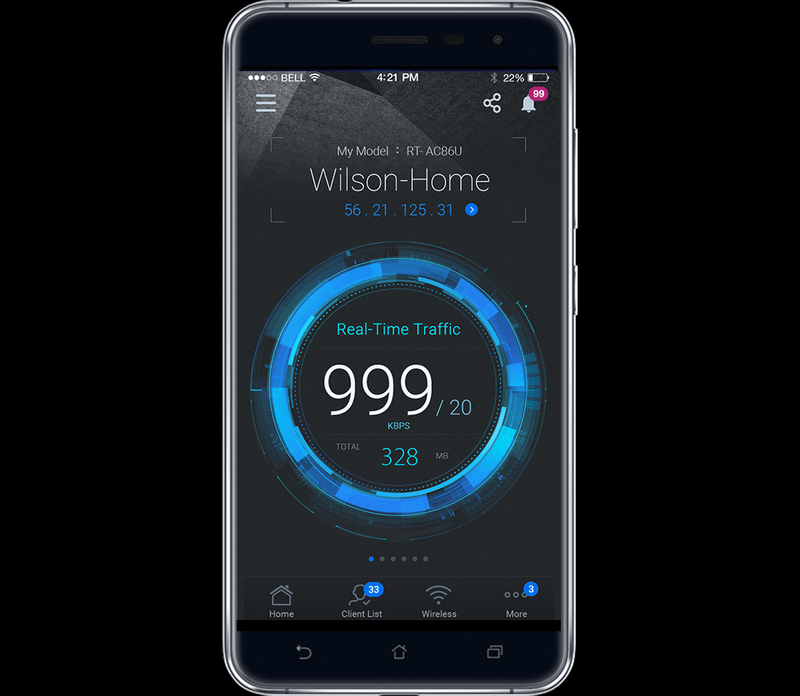 In your increasingly mobile-enabled life, having control over your network via an app is more important than ever. 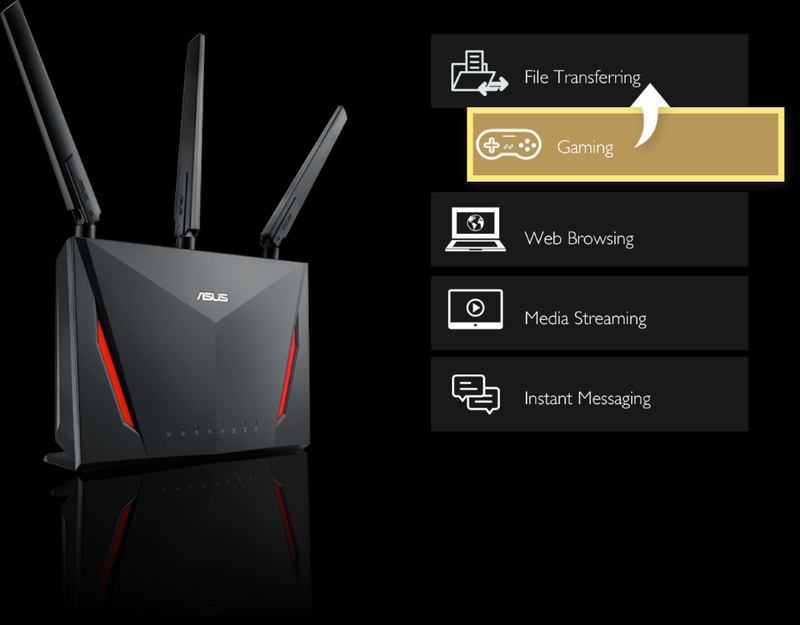 The new ASUS Router APP is built from the ground-up to be both intuitive and robust, all without needing to boot up a PC. 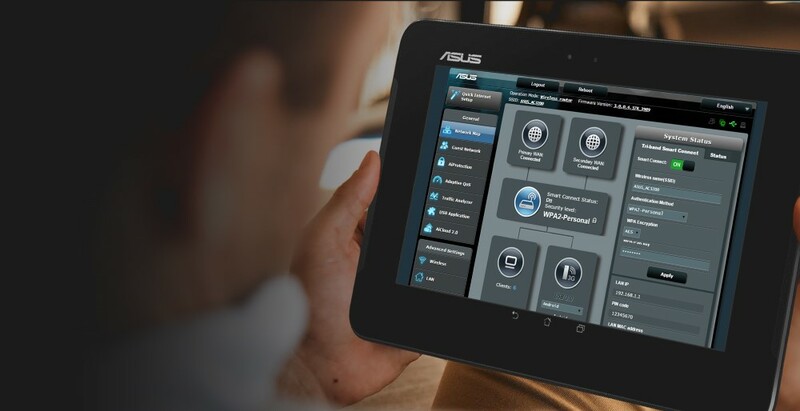 3-step web-based installation process and a wealth of robust advanced options. NAS storage devices and more can now have their own dedicated ports, making RT-AC86U your digital home hub. 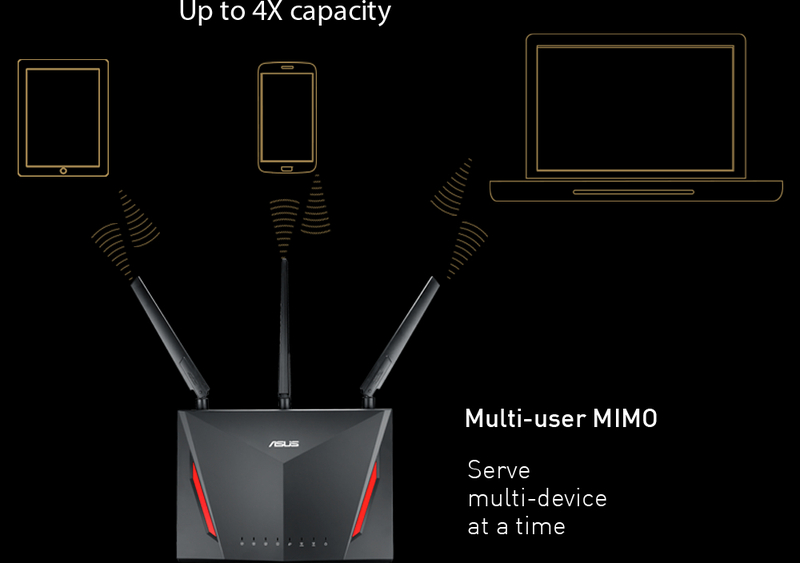 drives, printers, or a 3G/4G dongle to your ASUS router and share them conveniently with other users via Wi-Fi. And with USB 3.1 Gen 1, you can enjoy up to 10X faster data transfer speeds.